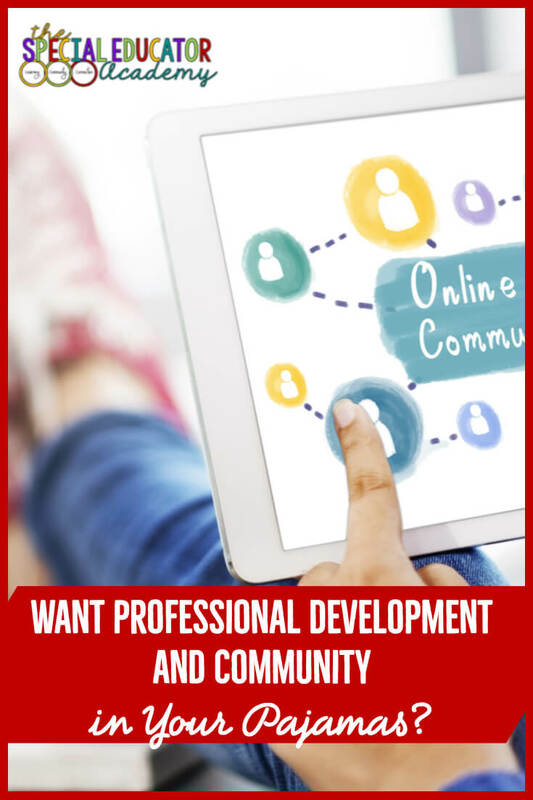 Want Professional Development and Community in Your Pajamas? I don't know why it took me so long to develop more online professional development. Years ago, when the internet was much newer and much smaller, I was working as a consultant and trainer doing outreach from Nova Southeastern University. I went around to lots of school districts from large urban districts to tiny districts where there might only be one teacher of students with autism and/or severe disabilities. One of the things I loved about my job was the opportunity to build relationships with these teachers. I often got to mentor some of those teachers to be leaders in their districts as their populations of students with autism and similar disabilities increased. And most of all I got to carry ideas from one teacher to another who might never meet each other. So, when I discovered the technology of the internet (back in 1999), I actually created an intranet (a community) that each of those teachers could sign on to to get resources and connect with each other. Mind you, we were still mostly on dialup then and Facebook and other social media were not around. I still have all of their addresses and names in the contacts on my phone! :). I still see these teachers at conferences—some I haven’t seen in more than 10 years. And it’s so much fun to talk about how things have changed. However, one thing hasn’t changed since those days: I still like bringing special educators together to collaborate and share ideas together. Because, I know how lonely it can feel when you are the only person or one of a few who do what we do. Understanding our students and why we do what we do can be difficult for people outside our field. We have 2 types of online professional development within the membership site: 6 to 8-hour courses and 1-hour workshops. For both, you receive a certificate when you complete one. I include all the information on the certificate that I provide to school districts when I provide continuing education training. You can then take that certificate to your district to request CEUs. I can’t guarantee that they will accept it, as it is different in all different places. But I’m happy to supply any additional information I can that your district might request. The content of the full courses are the same as the content I present during professional development for school districts. Each is set up with 10 to 30-minute videos so that you can watch them a little bit at a time. You can complete the whole course and download a certificate of completion. With the certificate, I include the objectives and links to my qualifications so that you can take them to your district to request continuing education credit. You can take the whole course or just watch the videos on topics you want more information about. The course and workshop libraries ore still growing. I survey the members regularly to find out what topics are most wanted by you! And you can do it all in your pajamas! Also in our online professional development library, we have hour-long workshops. You can download a certificate of completion like the courses when you finish a workshop. You can watch all the videos in your pajamas when it’s convenient for you. And you can go back and watch them as many times as you want. Many of the workshops also have a variety of resources that go with them to help you implement the strategies in your classroom. Many of them are completed live with the opportunity for questions and discussion. They are similar to workshops I present at conferences but on topics that are highly relevant and meaningful to you in your classroom. 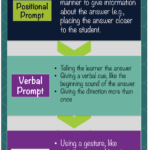 Quick wins are designed to be less about PD and more about helpful strategies you can implement immediately. 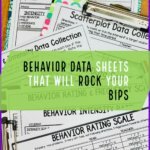 Topics range from printing your resources in larger or smaller sizes, to creating communication temptations to encourage initiations of communication from your students, and using contingency maps. 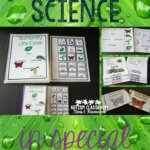 They are 5 to 20 minute videos with demonstrations and explanations of specific strategies. They frequently include resources to help you implement the strategy as well. 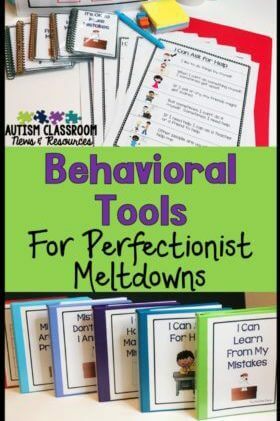 They are designed to be solutions to problems YOU face in your classroom. We have at least 2 workshops live in the evenings each month. They are scheduled in advance and one is held on Sunday evening and another on a weeknight for convenience. Then once a quarter, we have a live Question/Answer session where we review the membership, update new happenings and I take any questions and try to answer them the best I can. And all live events are recorded and added to our library for you to watch at your convenience. Another pillar of the Academy is our community of members. It’s a forum-type site where we can share information, resources, and announcements for all of us. It’s a place where like-minded educators can come together and share information, ask for advice, get ideas, etc. For example, right now we are sharing pictures of our direct instruction areas of the classroom to share ideas. And, in case going through the courses alone is not your thing, we now have study groups in our community so that you can join a group of other educators going through the courses one segment at a time. And I’ve added challenges where you can win Academy merch and swag or tools to help your classroom. We’ll be starting our next one in mid-May so don’t miss out! Have questions? Just comment below! Come find out more or join us!